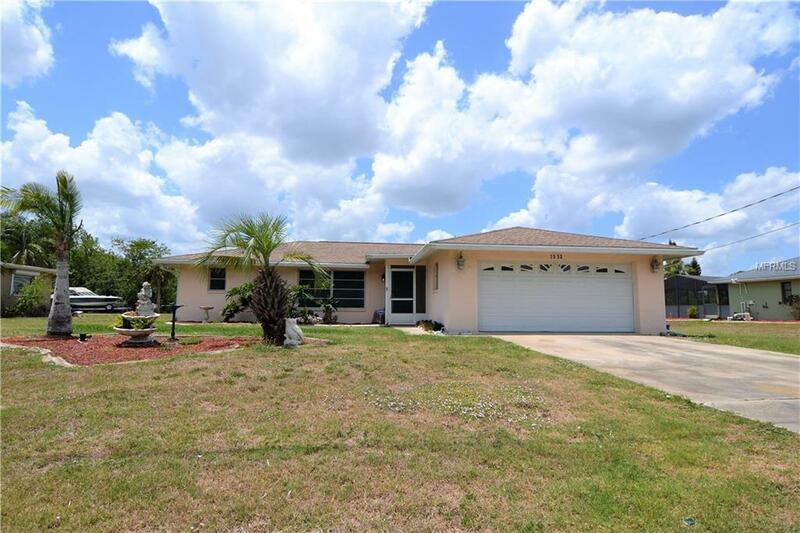 This lovely canal front/pool home offers a little over 1700 square feet of living space under air with 2 master size bedrooms and 2 full baths. Located on the Haverhill Waterway. As soon as you walk in you will notice just how spacious this home is. Kitchen was recently updated with new refrigerator, cabinets, floorings, counter-tops, and backsplash. Split floor plan offers 2 large bedrooms with walk in closets, carpeting and ceiling fans. 2 full bathrooms one with walk in shower the other offers tub/shower combo. Spacious family room/living room. Home also has a bonus room that was used as an office, with sliders. Head out the french doors to relax on your lanai or take a swim in your sparkling pool. Enjoy fishing and views of the canal in your backyard. 2 car garage is over-sized. Home is in close proximity to US-41, shopping, gulf, dining, entertainment and beautiful Florida beaches. This home and location has lots to offer! Additional Water Information No Gulf Access.